While waiting to hear the results of her biopsy, a pop singer (Corinne Marchand) wanders the streets of Paris, first with her devoted maid (Dominique Davray), then with a friend (Dorothee Blank), and finally with a soldier (Antoine Bourseiller). Agnes Varda — the only woman associated with the French New Wave movement — isn’t nearly as renowned as her male compatriots, but remains an essential part of cinematic history. 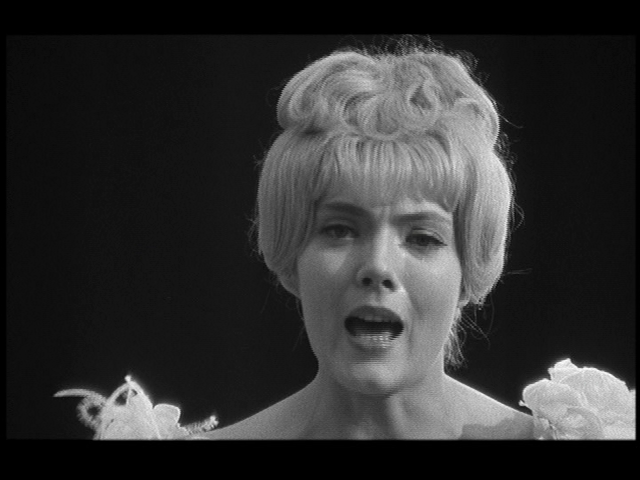 Her first feature-length film, Cleo From 5 to 7, is likely also her best-known: starring Corinne Marchand (who resembles a svelte Anna Nicole Smith), it tells the nearly-real-time story of a self-absorbed singer who undergoes a subtle shift in attitude while waiting to hear potentially devastating news from her doctor. Cleo (a stage name, short for “Cleopatra”) is clearly a pampered woman, someone who is inordinately obsessed with her own appearance and self-worth; early in the film, she petulantly demands that a taxi driver turn off the radio when one of her hit songs is on (complaining about its technical quality), then later, in a cafe, punches her song into the jukebox machine and pouts when no one seems to be listening. In essence, she’s not a very likable protagonist, and this is the film’s primary fault — despite Cleo’s potentially life-threatening disease, we never feel much sympathy for her, and can’t help wondering whether the entire affair is simply a psychosomatic plea for attention. 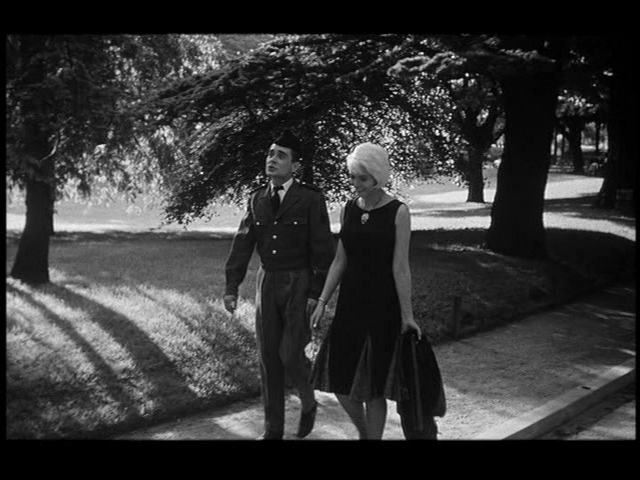 Over the course of the film, Cleo evolves ever so slightly, even taking off her fancy hairpiece and allowing a strange soldier to flirt with her and learn her real name; by this time, however, it’s too late, and one leaves the film with more memories of Cleo’s excursions throughout Paris than of Cleo herself. Yes, for its historical importance as Varda’s first feature film. 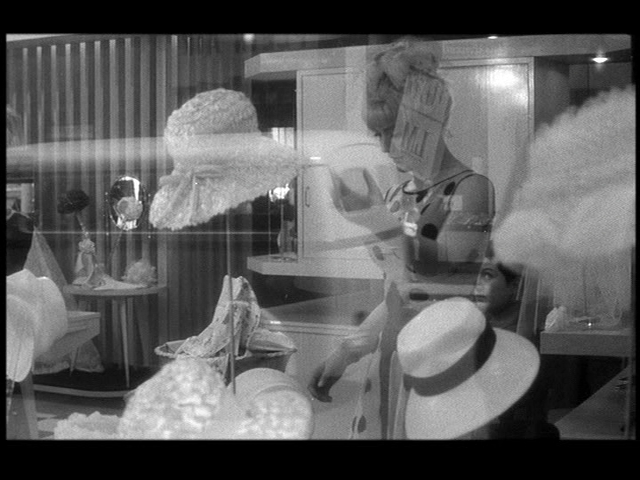 Like a lot of the films that came out of the French New Wave, “Cleo From 5 to 7” works very hard at being nonchalant, and goes out of its way to show us its’ scripted improvasational feel. 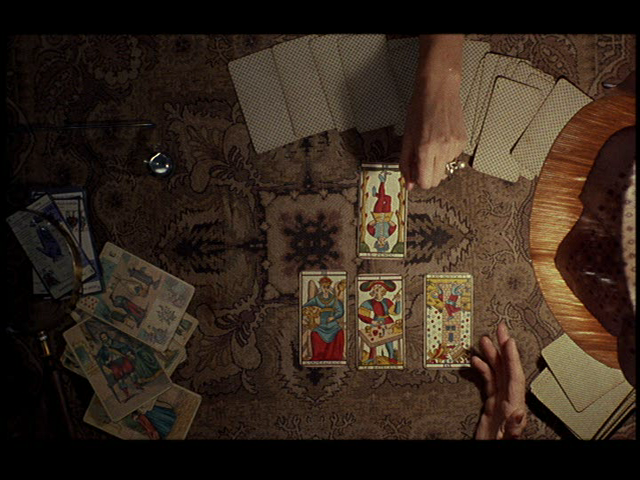 Varda seems to drop our Cleo into a compressed time situation, much as Godard did with Belmondo in “Breathless”…….but of course from a woman’s POV. Cleo’s not a petty thief, but her 2 hour wait for a diagnosis, moves in real time and in that time we begin feel for her. For most of the film she seems to represent the disconnected, impulsive, and rebellious youth of the time. I can look at this one way and see a disjointed, talky, self-consciously arty foreign flick, that didn’t “go over my head”, just right by my broad, available, interest level. I do like the music scene with Legrand. The picture give us a good feel for the “look” of French pop culture at the time. Very glad I got to see it, recognize it as a rep. of its’ era, but ultimately, wouldn’t recommend. I’m rather in complete agreement here – even re: the film’s redeeming qualities. As well, I was pleasantly surprised to see Paris photographed so lovingly, esp. the capture of out-of-the-way places perhaps only a native would know of and want to share. However – I can’t really think of this as a must, even as a unique chapter in cinema history. I just don’t find it a very satisfying film experience. I can appreciate its episodic and (at times overly) meditative aspects. But, as stated, a real drawback is the film’s protagonist. It’s astute to suspect that her crisis could possibly be “a psychosomatic plea for attention.” She’s certainly narcissistic enough. Which makes the “subtle shift in attitude” suspect. Frankly, I don’t buy it. And, after investing time following a frustrating protagonist, the film’s (ahem) conclusion is that much more of a letdown. Designating a film as a must for cinema history value can be a tough call. I sometimes have to go with my gut. But, for example, even in the case of 1946’s ‘The Postman Always Rings Twice’, I was able to more or less effortlessly watch it the first few times. ‘Cleo…’ is more of a chore the first time out. A must shouldn’t be that.